Property Location Located in North Conway, Eastern Inns is in the mountains and minutes from MWV Children&apos;s Museum and North Conway Country Club. 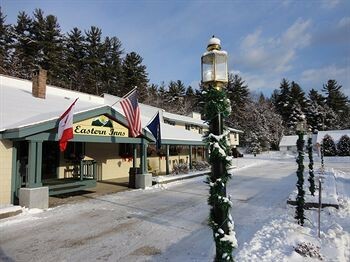 This motel is within close proximity of Mount Washington Observatory Weather Discovery Center and Conway Scenic Railway.Rooms Make yourself at home in one of the 56 guestrooms. Complimentary wireless Internet access is available to keep you connected.Rec, Spa, Premium Amenities Take advantage of recreational opportunities offered, including an indoor pool, a spa tub, and a fitness center. Additional features include complimentary wireless Internet access, an arcade/game room, and a fireplace in the lobby.Dining A complimentary continental breakfast is included.